Where to Go Surf Africa? Wonder where you should travel to surf Africa? 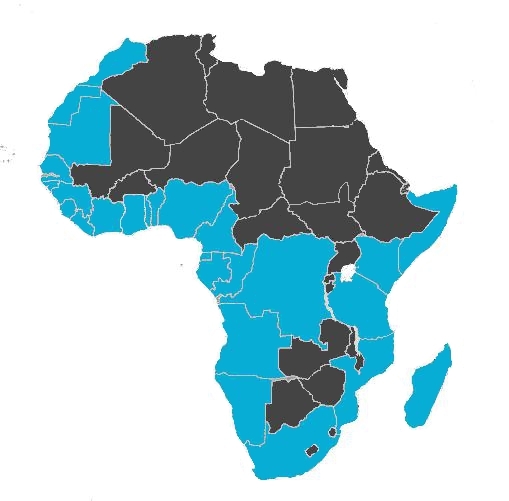 Here you will find surf guides to 29 African countries on this map. Click on each country and find detailed travel information and a description of already known surfspots. All countries are listed under the map with links (for mobile users). If you have extra information you want to share with other surfers through GoSurfAfrica.com please send us an email and inform us about new spots, new camps or good travel tips: contact@gosurfafrica.com. We always try to have the latest information on this website, but remember that all the information on this website is subject to change. In many African countries things change – mostly for the better but sadly sometimes also for the worse. We do recommend that you check the links which you will find in each country guide to get the latest information and updates before your departure. We wish you a safe and adventurous travel – GoSurfAfrica.com.